The Saturday night tasting menu dinner from Kauri Cliffs Executive Chef Barry Frith matched with Felton Road wines and hosted by Blair, will be a fitting finale. 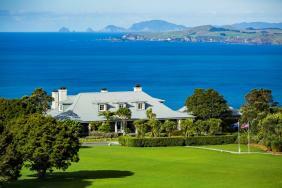 Over a fabulous weekend at The Lodge at Kauri Cliffs, Blair Walter will take guests through a unique tasting of Felton Road wines. He'll explore themes of site expression and house style in Felton Road’s single vineyard wines and the role the winemaker plays, or as the case may be, does not! Illustrated by pairs of wines from Felton Road’s portfolio of single vineyard and single “block” wines, the importance of consistent house style in winemaking will become apparent. Will the nuances and subtleties of individual vineyard characters worthy of these individual bottlings be something to discuss and celebrate? After a comprehensive tasting and discussion, guests will no doubt learn from Blair as he challenges some traditional views on where character and quality derive from in fine wine. Robertson Lodges’ Felton Road Wine Weekends are always sell-out events, so we recommend getting in quick for this one! Blair’s wine workshop will be a Saturday afternoon highlight. After a comprehensive tasting and discussion, guests will no doubt learn from Blair as he challenges some traditional views on where character and quality derive from in fine wine. Weekend includes guest’s choice of a day of unlimited green fees OR a 50-minute spa treatment per person during this stay.